2017 Nissan Armada Platinum Gun Metallic Rear Back Up Camera, Navigation/GPS, Blue tooth/ Hands Free Calling!, Sunroof/Moonroof, USB/AUX, NISSAN CERTIFIED, INCLUDES WARRANTY, REMAINDER OF FACTORY WARRANTY, ONE OWNER, CLEAN CAR FAX NO ACCIDENTS, SERVICE RECORDS AVAILABLE, LEATHER, ALL WHEEL DRIVE, ABS brakes, Active Cruise Control, Auto-Dimming Rear-View Mirror, Driver Package, Electronic Stability Control, Entertainment system, Front dual zone A/C, Front Fog Lamps, Heated & Cooled Front Bucket Seats, Heated door mirrors, Heated front seats, Heated rear seats, Illuminated entry, Low tire pressure warning, Navigation System, Power 3rd Row 60/40 Split Fold-Flat Bench Seat, Power Liftgate, Power moonroof, Remote keyless entry, Traction control, Trailer Towing Harness. 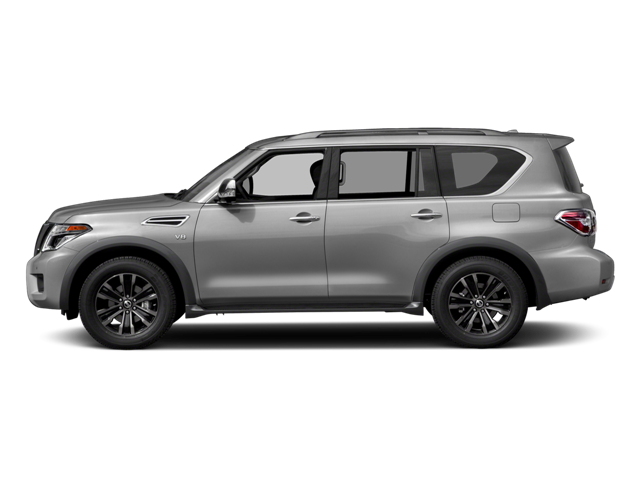 Hello, I would like more information about the 2017 Nissan Armada, stock# A5870. Hello, I would like to see more pictures of the 2017 Nissan Armada, stock# A5870.